Human probiotics have become a health craze due to their numerous benefits, but have you considered them for your furry friend? We all know how fickle a dog’s digestive system can be. Fortunately, specially formulated dog probiotics can be a life-changer for dogs suffering from digestive and other health problems. What do you need to know about pup probiotics, and which products are your best bets? Note: Always consult your vet before giving your pup any medications or supplements. Probiotics are formulas that contain living gut-friendly bacteria found naturally in the digestive tract and other areas of the body. The goal of ingesting probiotics is to maintain healthy levels of good bacteria, prevent gastrointestinal (GI) problems and boost the immune system after it’s been disrupted by illness, infection, antibiotic treatment or other stressors. Many report diarrhea or other stomach upset upon starting a new probiotic regimen. However, this is common with any major dietary adjustment — for pets and for humans. So, it may be best to ease into the treatment with less that the recommended dose, allowing time for your pet’s tummy to calibrate to this nutritional change. Each dog’s health needs are different, so you want to look for a probiotic formula that contains bacterial strains that address those individual needs, e.g., intestinal infections, diarrhea, etc. For that reason, we’ve listed the probiotic blends included in each product we review. Products you’re considering should list the specific bacterial species and strain, such as Bifidobacterium animalis. The best formulas include several different strains to help multiple aspects of their digestive and immune systems at the same time. We’ve included a summary of the best bacterial strains for dogs and their specific benefits. Click here to jump to that section. When comparing probiotic formulas, you’ll usually notice a CFU count as a prominent “selling point.” CFU stands for “colony-forming unit,” and a CFU count quantifies how many live bacteria cultures in a probiotic are active and able to divide and form these beneficial colonies. Is a higher CFU count better? It depends. If you’re giving your dog probiotics daily to maintain digestive and immune health, a lower CFU count should suffice (between 3-10 billion CFU). A higher CFU count, however, is ideal for illnesses and health problems, such as inflammatory bowel disease, food allergies, after antibiotic treatment and other cases. Studies suggest you can also give healthy dogs probiotics with high counts — it’s not believed to be harmful. You’ll want to look for a probiotic blend that includes a prebiotic. Prebiotics promote the growth of probiotics, which help keep bad bacteria under control in the dog’s gut. We’ve chosen our top picks based on several factors, including the variety of blends, other ingredients, customer feedback and pricing. We chose Nusentia Probiotic Miracle as the best dog probiotic for its combination of blends, reasonable price and overall fantastic customer reviews. It even has a 60-day 100% money back guarantee. This formula contains 6 different strains and a prebiotic to combat dog diarrhea, loose stool, yeast overgrowth, bad breath, constipation, itching & scratching, allergies, digestive issues and gut-related problems. Recommended use: Sprinkle a small scoop of this tasteless and odorless powder on your dog’s food. You can store it at room temperature for up to a year. Blend includes: Inulin (prebiotic), Bifidobacterium animalis lactis, Lactobacillus acidophilus, L. rhamnosus, L. saluvarius, L. plantaram and L. reuteri. NomNomNow, a popular fresh dog food delivery service, has a high-quality probiotic blend formulated by its expert team of veterinary nutritionists and microbiologists. 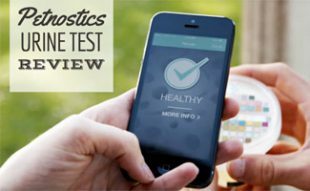 The company also offers a gut health test for dogs that can help you determine if your dog needs a probiotic. This probiotic formula includes a prebiotic and 7 different strains of live bacteria to help maintain normal digestive and immune function and the health of a dog’s intestinal tract. 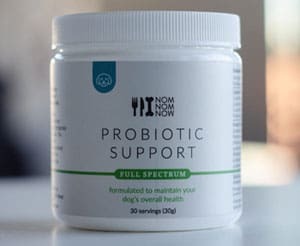 NomNomNow’s probiotic didn’t take our top spot because it’s relatively new and we haven’t found enough customer reviews to recommend it as our #1 pick. And at $45 for a month’s supply, it’s pricier than many other probiotics for dogs. But, it is worth considering for its strong nutritional formula. Recommended use: Mix one level scoop of the powder into food once daily. Protect from light, high temperatures and moisture. Refrigerate for optimal preservation. Blend includes: Inulin (prebiotic), Bifidobacterium animalis, Enterococcus faecium, Lactobacillus acidophilus, L. reuteri, L. fermentum, L. rhamnosus and Pediococcus acidilactici. VetriScience is a well-respected canine supplement brand, and its probiotic formula doesn’t disappoint. If your dog scoffs at powder on his food, VetriScience’s capsules could be an excellent solution. This product contains a prebiotic, 7 bacterial strains and 5 billion CFU per capsule. It’s recommended for supporting digestive health and issues related to food sensitivity and allergies. It also promotes a healthy immune and neurological system. Recommended use: Give one capsule daily for dogs under 40 lbs (2 capsules for dogs over 40 lbs). Store in a cool, dry place. Blend includes: Fructooligosaccharides (FOS) prebiotic, Bifidobacterium bifidum, B. Iongum, Enterococcus thermofilus, Lactobacillus acidophilus, L. brevis, L. plantarum and L. casei. A healthy gut can go a long way to alleviate your dog’s allergy issues, but Zesty Paws Allergy Immune Bites combines a 5-strain probiotic formula with special ingredients to help combat more serious allergy and immune problems. These chewable bites contain organic licorice root, apple cider vinegar, colostrum and 80 mg of EpiCor, which provides vitamins, protein, fiber and antioxidants that are clinically proven to boost the immune system. The peanut butter chews also include wild Alaskan salmon oil to support immune health for dogs with skin allergies. 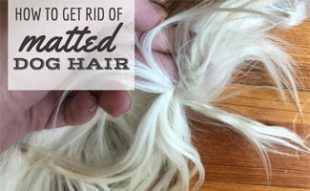 Note: Many customers say it takes a few weeks to improve allergies and itchy skin, so stick with it. Blend includes: Inulin (prebiotic), Lactobacillus acidophilus, L. brevis, L. fermentum, L. lactis and L. plantarum. Vets have been recommending Purina FortiFlora to their patients for years to regulate dogs’ digestive systems when things go awry. This product contains 100 million CFU per gram of Enterococcus faecium and other beneficial ingredients, such as vitamins E, B and C, antioxidants, beta-carotene and zinc. Bacterial species used most frequently in probiotics for dogs are Bifidobacterium and Lactobacillus. Why Do Vets Recommend Probiotics? 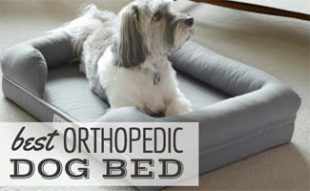 See one family’s story about how their vet-recommended probiotic helped their senior Shih Tzu. Other than adding probiotics to your dog’s diet, there are other things you can do to treat your dog if they’re suffering from chronic GI problems. First, check out our tips to cure a dog’s upset stomach. You may also want to consider switching your dog’s diet. Several companies specialize in all-natural, high-quality dog food blends that are formulated to address GI problems and allergies. And they deliver right to your door. 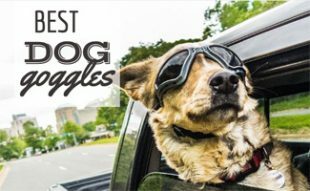 Read our reviews of the best dog food subscriptions to learn more. Why are you considering adding a probiotic to your dog’s diet?